I just returned from my fifth Rise of the Rest Tour. And like those before it, this trip was fast-paced, exciting and provided a window into the unique culture and spirit of the cities we visited. I’m returning with fresh insight on what is driving startup growth in cities that don’t have access to the same volume of capital as regions like Silicon Valley and New York. But most importantly, I am returning with the stories of so many entrepreneurs. Remarkable women and men who are passionate about growing their businesses in the cities that support them. Each day began with a breakfast with local leaders where I learned about the state of entrepreneurship and innovation in each city. 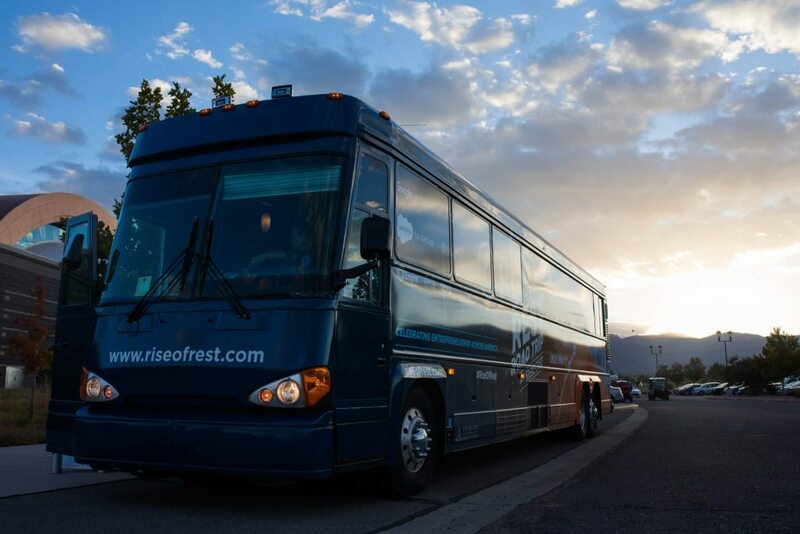 Then, we hopped on the bus for a startup crawl to experience firsthand what was happening at many of the local incubators, accelerators, startups, and universities. Each day closed with a fireside chat and a pitch competition where I invested $100,000 in one local startup. We started the week in Omaha at the site where the first tracks were laid for the Transcontinental railroad, symbolically marking our first Rise of the Rest trip out west. In Lincoln, we met with startups such as Hudl, a company that changed the way game tape is viewed and has the potential to revolutionize how we practice sports. Next, we visited the Nebraska Innovation Campus, which is facilitating partnerships between the University of Nebraska and the private sector. Beyond the incredible people we met, I was struck by how much local expertise there is in Omaha/Lincoln in industries that are ripe for disruption—food and agriculture, financial services, and sports. 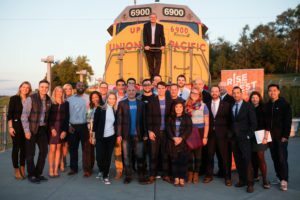 Next we went to Denver, where we started the day with startup supporters Governor John Hickenlooper (himself an entrepreneur!) and Mayor Michael Hancock. We hopped on the first legal electronic tuks tuks in the U.S. to visit Hyprloco, a cloud-based platform started by vets to shorten wait times at fast food restaurants. At the Turing School of Software & Design, we spoke with students who took time off from their chosen career paths to learn how to code. Over 92% of their graduates are employed full-time within 120 days of graduation. And it was great to see such diversity – more than 40% of the students were women and people of color. I then chatted with Bryan Leech from Ibotta in front of an audience of CEOs and investors, while overlooking Mile High stadium—home of the Denver Broncos. That evening, my friend Brad Feld and I moderated a panel of three founders—Lee Mayer from Havenly, Jenna Walker from Artifact Uprising and Jacqueline Ros from Revolar—who provided a crowd of over 600 with key takeaways for what it takes to build a startup in the Centennial State. And since less than 10% of venture capital goes to women, it was great to spend time with three awesome women entrepreneurs that are building great companies in Colorado. In Salt Lake City and Provo, we opened the day by visiting Salt Mine, a co-working space helping new businesses grow along the Wasatch Front. It is strategically located in Sandy, between Provo and Salt Lake City, in an effort to help create a regionally unifying innovation cluster. I spoke at a breakfast with Salt Lake County Mayor Ben McAdams and impact investing pioneer Jim Sorenson, and learned about new models being tested to level the playing field and create opportunity for all (including people coming out of prisons). During our startup crawl, we visited Sorenson Media, where we saw how the company plans to disrupt television – not for New York City or Los Angeles, but Utah! Then we went to Cotopaxi, where I tried on outdoor gear with purpose (10% of their profits are donated to non–profits) and Rico Brand, where we met several immigrant foodprenuers from a local food incubator for refugee entrepreneurs. Finally, I sat down with Clint Betts, founder of Beehive Startups, to talk about why Peter Thiel is wrong and talent (and good ideas) are aplenty in Salt Lake City and nearby Provo. 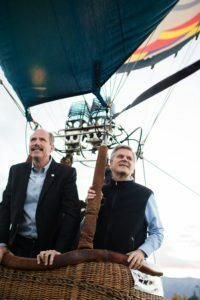 Next it was onto Albuquerque, where I took to the skies during the Balloon Fiesta with Mayor Richard Berry, as we discussed the burgeoning startup environment in New Mexico. Much of the day was spent exploring how the city can take the enormous scientific and technical resources that already exist at its Sandia and Los Alamos national labs and turn it into a more vibrant community for startups. I was joined by Senator Tom Udall, a champion of the local startup community, on visits to bioscience incubators and businesses such as Ideum and Pajarito Powder. At our final stop, Phoenix, I spent time with Mayor Greg Stanton and ASU President Michael Crow to explore how Phoenix has fostered innovation and entrepreneurship. We visited Local Motors, where I drove in a 3-D printed car, and mattress success story Tuft & Needle, a company that started in San Francisco but moved to Phoenix because they concluded it would be easier and cheaper to scale (and they’ve gone from 2 employees to 200+ in just four years). I also met with local founders, including Brad and Heidi Jannenga of WebPT and Mario Martinez of Invest Southwest, to discuss the #yesPHX campaign – and explore how diverse cities such as Phoenix can do their part to level the playing field so all entrepreneurs have a shot at the American dream. As we end tour number five, I am reminded that 75 years ago Detroit was once our nation’s mecca for fast growing businesses and new ideas. Back then Silicon Valley was just fruit orchards. Cities evolve. Regions rise – and fall. But the desire to build strong communities and healthy economies remains the same. We saw that in action in the seven cities we visited on this tour. 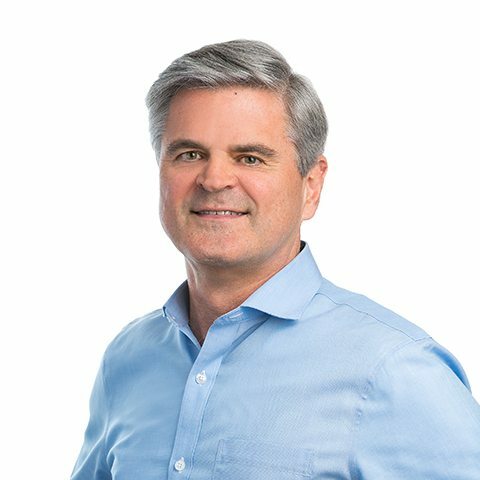 All great American cities, with storied pasts – but also bright futures, in large part because of the passionate entrepreneurs building great companies that can create the jobs and drive the growth for the future. I salute the finalists in our pitch competitions, and all those who are helping them achieve their dreams. Thank you to the cities and communities that welcomed us warmly and shared freely. We will take your successes and pass them along as lessons for other cities seeking to replicate your journey. See you back on the bus!